In 2010, the Baltimore Orioles had an infield that consisted of Ty Wiggington, Brian Roberts, Ceaser Izturis, Matt Weiters, and Miguel Tejada. And an outfield that consisted of Felix Pie, Adam Jones, and Nick Markakis. Luke Scott was the DH. Save for Roberts and Weiters, that whole infield is gone. Derrek Lee will be at first, J.J. Hardy at short, and Mark Reynolds at third. Nick Markakis is still in right, and Adam Jones is still in center. Pie will go to the bench, to the minors, or be moved, because Luke Scott needs to play somewhere, since Vladimir Guerrero is now the new Orioles DH. Buck Showalter has an offense. A ridiculously good offense. Last season, Baltimore finished in 5th place in the AL East, and they scored 650 runs. They were 27th in runs scored, 20th in total bases, 24th in OBP….they were terrible. Just awful. They didn’t rank in the top half in any offensive category. But what about in 2011? The answer is in the new guys. Hardy, Lee, Guerrero, and Reynolds. J.J. Hardy is slightly under a league average hitter with an OPS+ of 95. And he seems to have completely lost his home run power stroke going from 24 home runs in 2008, and 17 in 2009 and 2010 combined. His ISO in 2008 was .195 and in 2009 and 2010 it was .128 and .126 respectively. But what value does Hardy bring? It’s mostly in his glove. He put up a UZR of 8.1. Ranking behind Brendan Ryan, Alexi Ramirez, Cliff Pennington, and Stephen Drew in that category. Baltimore’s SS last year? Cesar Izturis put up a UZR of 5.1 . So, how big of an upgrade is it really? Izturis had an OPS+ of 50. When Reynolds does get a hold of one, it is going over the fence. Hopefully Buck Showalter's staff will help him put more of them in play. 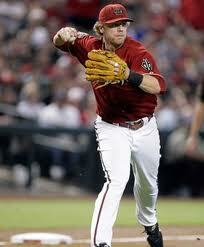 Mark Reynolds is the new Orioles 3rd baseman. We all know the knocks on him. He’s struck out 767 times in 2285 plate appearances, over 563 games. Including 200 times in the last 3 years. To put that in perspective, Reggie Jackson, the all time leader in getting struck out, never struck out 200 times in a season. It wasn’t until Jackson’s 6th season that he had reached Reynold’s pace. But what can he do right? Well, he is the proud owner of a career .241 ISO, and his mark last year of .234 had him in the top 20 in all of Major League Baseball last season. When Reynolds does get a hold of one, it is going over the fence. Hopefully Buck Showalter’s staff will help him put more of them in play. He’ll also need help with the glove, seeing as how he has a career -19 UZR. Derrek Lee is now manning first base for the O’s. What is there to say about Lee that isn’t awesome? He has a .282/.367/.498 career line with a career 7.3 UZR. As was the case with Derrek Lee, the same basic thing applies with Vladimir Guerrero. .320/.383/.567 over a 16 year career. This future Hall of Famer has never seen a pitch he didn't like. I once saw him hit pitch that bounced in front of him against the wall for a double. He’s big, he’s strong, and he hits it where he wants to hit it. Some people say he was the best free agent signing of the 2010 off season (though I say Jim Thome was), and he’ll certainly be able to help this new Orioles team maybe break .500. In just one week, 2010 will be behind us and 2011 will be well on its way. So to fit this new year’s occasion, we here at Pine Tar and Pocket Protectors will look at the top 10 teams who did well in free-agency and trades in this current 2010-2011 off-season. The teams are ordered based on a scoring system and my opinion. They will both be weighted equally. The system only takes into account the players the team acquired (not who they lost); therefore, it can be slightly skewed. This is why I took the liberty to make my own opinionated rankings to possibly balance any of the flaws from the scoring system out. 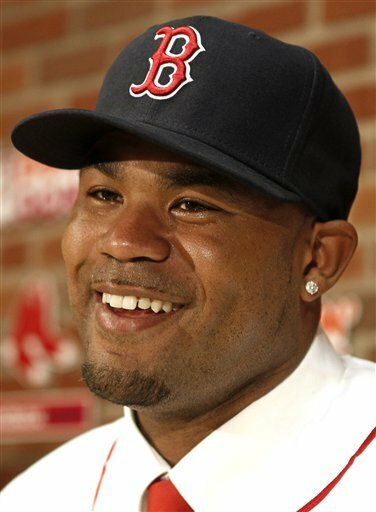 Carl Crawford received the biggest contract of 2010. The scoring system includes four components: WAR added by acquired and re-signed players (based off 2010 stats, does not include options, and weighted 50%), Investment per WAR (based off 2010 stats and 2011 salaries, weighted 30%), Invested dollars per player (total invested money of all contracts divided by number of players added, 10%), and Total dollars invested (10%). Each component will be ranked from 1 to 10, the team with the highest ranking gets 10 points for that category, the lowest ranking gets 1 point. The highest score a team can achieve is 10 points. Now that we have the technicalities out of the way, let’s get to the rankings. I don’t think this ranking comes as a surprise to anybody. Boston added two superstars in Carl Crawford and Adrian Gonzalez, but they did it at the expense of a $142 MM dollar contract to Crawford over a whopping 7 years and possibly a 7 year extension for Adrian Gonzalez sometime in 2011. Nevertheless, you can’t say that you aren’t impressed by the amount of talent the Red Sox got in the two, as they combined for over 12 WAR last season. The Red Sox also added Bobby Jenks and Dan Wheeler to strengthen the depth of their bullpen. The only real loss from Boston’s 2010 roster is Adrian Beltre. However, the 7.1 WAR he produced will be easily replaced by whatever Crawford and Gonzalez will provide in 2011. 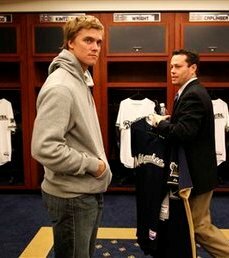 Greinke gives Milwaukee a true ace. The Brewers’ biggest weakness in 2010 was their starting pitching. Outside of Yovani Gallardo, no other starting pitcher on their staff produced over 2 wins above replacement. Doug Melvin went out of his way this off-season to repair the broken staff and he has done a phenomenal job thus far. He first acquired Shaun Marcum from the Toronto Blue Jays for hot shot prospect Brett Lawrie. Two weeks later, Zack Greinke joined Marcum, Gallardo, Wolf, and Narveson in one of the best rotations of the National League. Of course, the cost was steep and Milwaukee’s upgraded rotation came at the price of pretty much the entire farm system. Nevertheless, it makes the Brewers serious contenders for at least the next two seasons. The Phillies got some criticism this past season for trading Cliff Lee in order to get Roy Halladay. The harsh words were at their loudest when the Giants knocked off the Phillies in the NLCS. Meanwhile, Cliff Lee was making the Yankees’ hitters look like little leaguers in the ALCS. Two months later, the criticism for Ruben Amaro Jr. on that trade has faded. Why? Because Cliff Lee is in Philadelphia again and nobody really expected it. All off-season, the general public was led to believe that Lee was going to sign with either the Yankees or the Rangers. However, the Phillies popped up at the last second and grabbed Lee, signing him to a 5 year $120 MM deal. The Phillies also re-signed Jose Contreras. Thus far, those have been the only two transactions by Philadelphia. Nevertheless, the signing of Lee gives the Phillies one of the best rotations of all time and makes them serious World Series contenders. 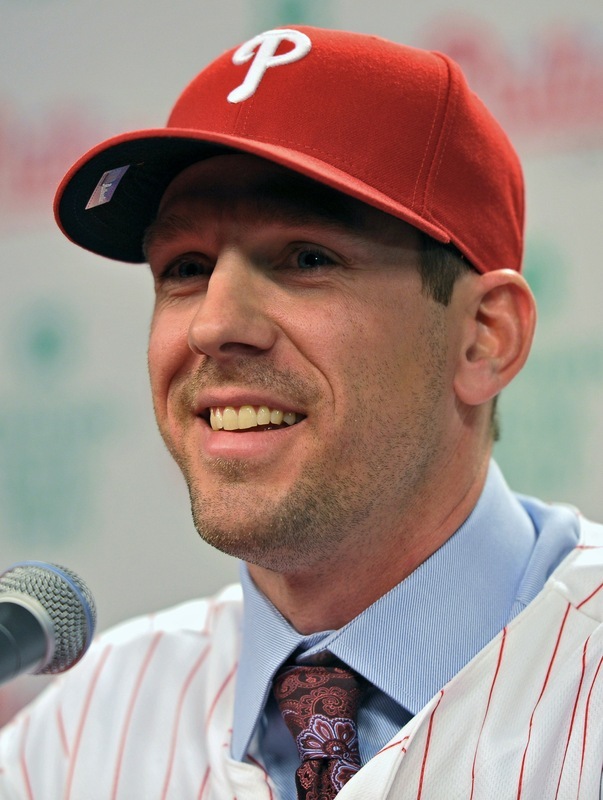 Cliff Lee's return to Philadelphia was one of the most surprising moves of the off-season. With about $70 million coming off the books this off-season, Tigers GM Dave Dombrowski wasted no time in signing two of the bigger free agents on the market in Joaquin Benoit and Victor Martinez. Benoit’s deal came first and if you read some of my other posts, I’m not the biggest fan of it. It totally changed the expectations of other non-closers and screwed up the market. However, Benoit does improve their bullpen and Victor Martinez is somebody who can hit behind Miguel Cabrera and make sure he’s not intentionally walked a billion times in 2011. Besides the two additions, the Tigers also re-signed Jhonny Peralta and Brandon Inge, both at fair market value. The Tigers were a decent team in 2010, the additions of Martinez and Benoit should put them in much greater contention with the Twins and White Sox for the AL Central division title in 2011. This might be one of the bigger surprises on the list. Yes, the Dodgers have had a pretty decent off-season and no, they really didn’t add anybody too significant. Juan Uribe was their biggest new addition, but they also added some decent pieces in Matt Guerrier, Jon Garland, and Tony Gwynn Jr. Nevertheless, a good portion of their 12.2 WAR added comes from the re-signed Hiroki Kuroda and Rod Barajas, who combined for 5.5 WAR. The list of players the Dodgers got aren’t all too impressive all by themselves. However, things add up and you somehow end up with a team that acquired 12.2 WAR. Even so, I don’t think these moves put them over the top in the NL West whatsoever. None of the position players Billy Beane acquired this off-season are flashy, but they all have something in common – on base percentage. Beane acquired David DeJesus early in the off-season. He then signed Hideki Matsui to a reasonable one year offer and yanked the underrated Josh Willingham from Washington for two minor leaguers. One of the weaknesses of last year’s A’s team was power and Beane partially addressed the issue by getting Willingham and Matsui. DeJesus brings high OBP and defense, something that the A’s have emphasized for a long time. The A’s also signed two reclamation projects from Texas – Brandon McCarthy and Rich Harden. I think both will compete for the 5th spot in the A’s already stacked rotation. The other teams in the AL West should look for the A’s in 2011, they’re going to be a serious contender for the division. Dunn brings consistency and left handed power that the White Sox lacked last year. 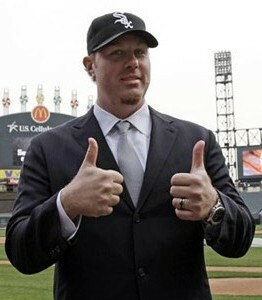 The White Sox are going all in for 2011, but it didn’t seem that way when the off-season began. Rumors were flying that the White Sox would head towards the rebuilding route and let the products of their weak farm system ride it out. 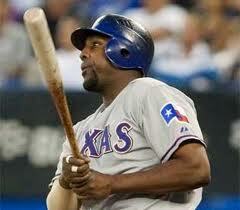 However, that was not to be, as GM Kenny Williams signed Adam Dunn to a 4 year contract and then re-signed A.J. Pierzynski on the same day. A week later, Williams would welcome back Paul Konerko with a 3 year contract. The South Siders did lose both J.J. Putz and Bobby Jenks in the bullpen, but signed Jesse Crain to fill the void. Overall, the White Sox put themselves in a position to be heavy contenders for the AL Central title. As always, there’s a lot of question marks with the team. Whether those question marks go the way the White Sox’ way will determine Chicago’s fate come October. I know what you’re thinking, how the hell can a team that loses Adrian Gonzalez have a good off-season? That’s a very good question and I can’t even explain it too well. But the scoring system obviously sees the value in getting the best bang for your buck, which is what the Padres are doing. They used the $5.5 million Gonzalez was going to be paid in 2011 and signed Orlando Hudson to a two year deal. Hudson has shown to be a very solid 3 WAR player when healthy. In addition, they traded for Jason Bartlett, who had a pretty poor season in 2010, but did show his potential in 2009 (even if it was probably a career year). They also signed Aaron Harang to a reasonable deal and I fully expect Petco Park to make Harang’s numbers look good again. The Padres may not have signed or acquired anybody too worthwhile to replace A-Gon, but as I said before, these things add up and you can probably look at the prospects they got in return for Gonzalez as a plus. In the end, the Padres may be one of the top teams in the NL West next season. The Braves made just one major off-season move this past year and that was trading for Dan Uggla. Fortunately for Atlanta, that’s a pretty influential piece. How influential? Well, 5.1 of the 5.5 WAR Atlanta added belonged to Uggla. The Braves also got some bullpen help in the form of George Sherrill and Scott Linebrink, both are veterans coming off bad seasons. In Sherrill’s case, he’s actually had recent success and can be an effective LOOGY. Linebrink? Well, let’s just say the trade was a straight up salary dump. After a very impressive campaign in 2010, the Braves didn’t need to do that much work this off-season. They’ve done enough so far by acquiring Uggla and that should go a long ways in their conquest for a playoff spot in 2011. Werth might have been overpaid, but he brings consistent production to the Nationals. The Nationals did manage to add one of the biggest free agents of the off-season in Jayson Werth, but they probably overpaid at 7 years and $126 million. Werth and Ryan Zimmerman make a nice tandem as far as franchise players go, but the Nationals are missing key pieces in numerous other places, like the starting rotation and bullpen. Werth is technically Adam Dunn’s replacement in the lineup. 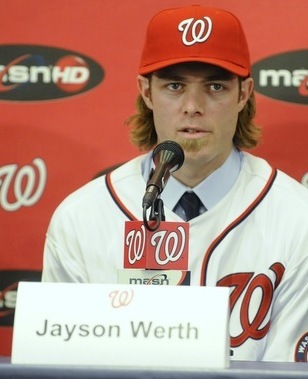 However, can you imagine Dunn, Werth, and Zimmerman in the same lineup? Unfortunately, that was not meant to be. The Nationals also signed Rick Ankiel and are hoping for Chen-Mien Wang to magically heal from his injuries since they signed him to a one year incentive-laden deal. Werth was a nice surprise for Nationals fans, but I doubt they’ll be anything more than a .500 team in 2011 at best, especially in a stacked NL East. Unfortunately, this is only a list of 10 teams and there are some other teams who did okay for themselves this off-season. The Orioles really upgraded their infield with the acquisitions of Hardy and Reynolds. They would probably be 11th if the list was made of 15 teams. The Rockies were pretty busy, but I’m not really sure their use of money was the best, so they might have made the top 15 list. The Giants could be another possibility, since they did get Huff and Burrell back. There are a handful of different teams you can put on this list and it would look okay. If you have any suggestions about this list, please post them in the comments. I don’t think this list is the most accurate either, so I’d like some feedback. This scoring system was developed by me in like an hour so it’s not the most accurate. However, I can’t say that I don’t like how the list ended up. There’s a few blemishes here or there, but it looks decent overall.